This week marks the start of the grouse shooting season in Great Britain and Northern Ireland. Driven grouse shooting consists of a line of “beaters”, blowing whistles and waving flags to chase wild grouse towards a line of guns, waiting to shoot at them as they fly past. According to industry statistics, an estimated 700,000 grouse are shot every year in Britain for “sport”. This year’s grouse shooting season opens in light of revelations in The Guardian that Michael Gove has been letting wealthy grouse moor owners off the hook, despite the fact that they face a compulsory ban on the practice after the European commission launched an investigation. The minutes of a private meeting hosted by the Secretary of State reveal that he is taking a light touch approach by asking grouse moor owners to voluntarily stop the practice of rotational burning of heather to increase the numbers of birds, despite the detrimental environmental impacts of the practice. Unsurprisingly, two of the grouse moor land owners at the meeting with Gove have made donations to the Conservative Party. Rather than intensive rearing of birds, driven grouse shooting uses intensive land and wildlife management to create a false environment in which grouse flourish. Natural habitats and ecosystems are managed in a way that leads to grouse numbers reaching up to 100 times the natural level. This land management results in soil degradation, the release of carbon and problems with flooding and water quality in surrounding areas. The committee on climate change has estimated that 350,000 tonnes of carbon dioxide each year are emitted from upland peat in England, the majority of which (260,000 tonnes) is due to burning grouse moors. There are also reported downstream flooding risks associated with burning, gripping and drainage of moorland. There are also concerns over animal welfare. One of the consequences of driven grouse shooting is the killing and trapping of birds of prey that are natural predators of grouse, including the hen harrier. The effects are so devastating that the hen harrier is on the brink of extinction as a breeding species in England with just three successful breeding pairs in 2016, none of which were on grouse moors. Regardless of the wildlife impacts of driven grouse shooting, the question still remains as to whether it is ever morally acceptable to kill animals for pleasure. Labour made the case with our landmark 2004 Hunting Act and our recent proposal to further strengthen this legislation that the suffering and killing of animals in the name of sport is fundamentally unacceptable. The shooting industry claims to be worth £2bn to the UK economy, creating 75,000 FTE jobs. But these figures encompass all forms of shooting, including clay pigeon shooting, which makes up roughly one third of the shooting industry. The fact that driven grouse shooting is subsidised by public money is also excluded from this £2bn calculation. In 2014 the government increased the money to which grouse moor owners are entitled by a startling 84%. Remarkably, many grouse shooting estates currently avoid paying VAT by exploiting European Union exemptions for sporting clubs. So what are the alternatives to driven grouse shooting? Simulated grouse shooting replicates traditional grouse shooting in every way, except the guns are firing at clay discs hurtling through the air instead of live birds. This allows upland estates to maintain the presence of a grouse shoot and employment in every possible way, but removes the negative impacts on wildlife, habitat, tourism and the regional economy. There are many moorland owners who prohibit grouse shooting on their moorland estates, having previously permitted it, and now maintain the land using other methods. One example is the Dove Stone Reserve in Greater Manchester, which sits on the edge of the Peak District National Park. Here, many specialist birds can be found, including curlew, lapwing, golden plover, peregrine falcon and raven. The reserve now hosts 50 pairs of dunlin – up from 7 pairs in 2004, 110 pairs of golden plover – up from 59 pairs in 2004, and 36 pairs of curlew – up from 27 in 2010. Research commissioned by the Scottish government shows that wildlife tourism in Scotland is worth £276m a year, whereas the value of shooting sports in Scotland is estimated at only £218m a year. The RSPB also point out that almost three million adults go bird watching each year, shooting birds with cameras rather than guns. 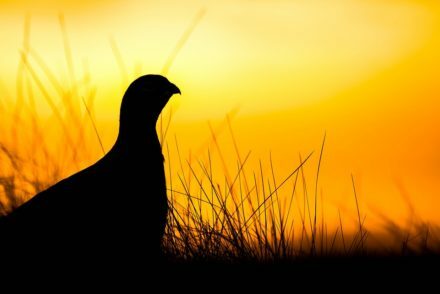 This all suggests that not only can economic benefits to rural communities be sustained by replacing driven grouse shooting, but that even greater economic benefits stand to be gained. This grouse season, Labour is calling on the government not only to mandate the end of rotational heather burning but to launch an independent review into the economic, environmental and wildlife impacts of driven grouse shooting and to model some of the alternatives that could replace the trade in rural areas. We would protect jobs as well as our natural environment, water quality and some of the UK’s most beautiful and endangered birds of prey. If Gove wants to portray himself and the Conservative Party as ‘the greenest government ever’, taking a much tougher line on grouse moor practices that harm the environment would be a good place to start. Sue Hayman is Shadow Secretary of State for Environment, Food and Rural Affairs and MP for Workington.